You will see me refer to Pure Pastures as Natural Local Food Express and vice versa. The current company name is Natural Local Food Express, but is being changed to Pure Pastures. Pure Pastures is a natural and organic grocery store. But, it isn’t a grocery store. I find it hard to explain what the store is. To me, the term “grocery store” makes me think of the mega supermarkets. 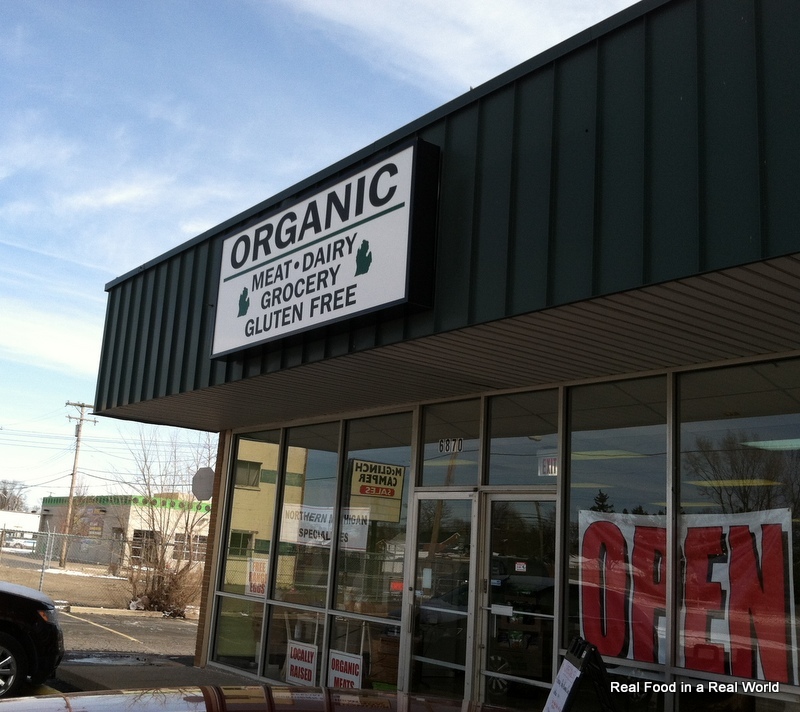 This is a small store packed to the brim with good, wholesome, local food. There are two locations for Pure Pastures. The flagship store is in Plymouth on 1192 Ann Arbor Road. It’s a little hard to see exactly where the store is, so I took some pictures of the landmarks. 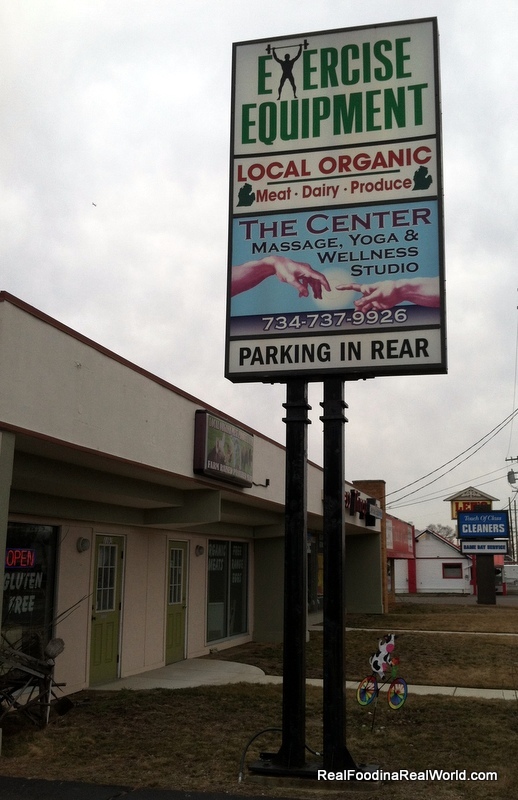 The second location for Pure Pastures is at 6870 N. Telegraph in Dearborn Heights. 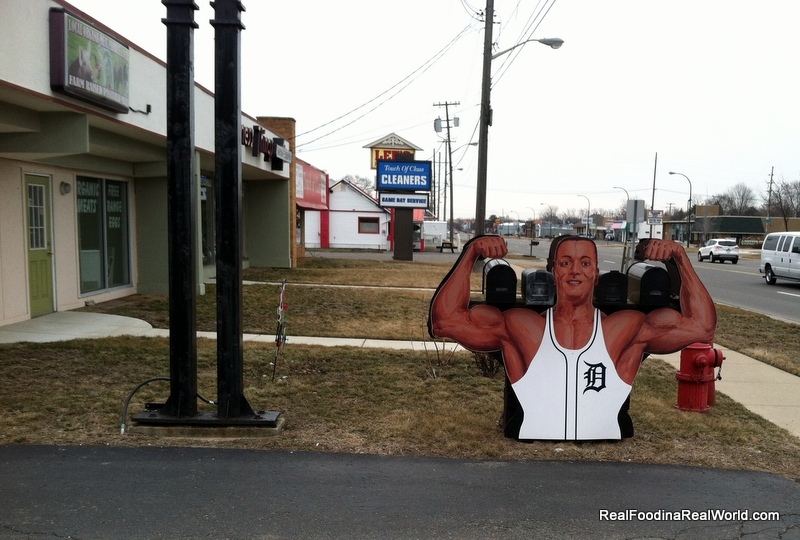 The location is just south of Warren, next to the Red Lobster restaurant. There is a sign on Telegraph that says “Pure Pastures” that I forgot to snap a picture of. 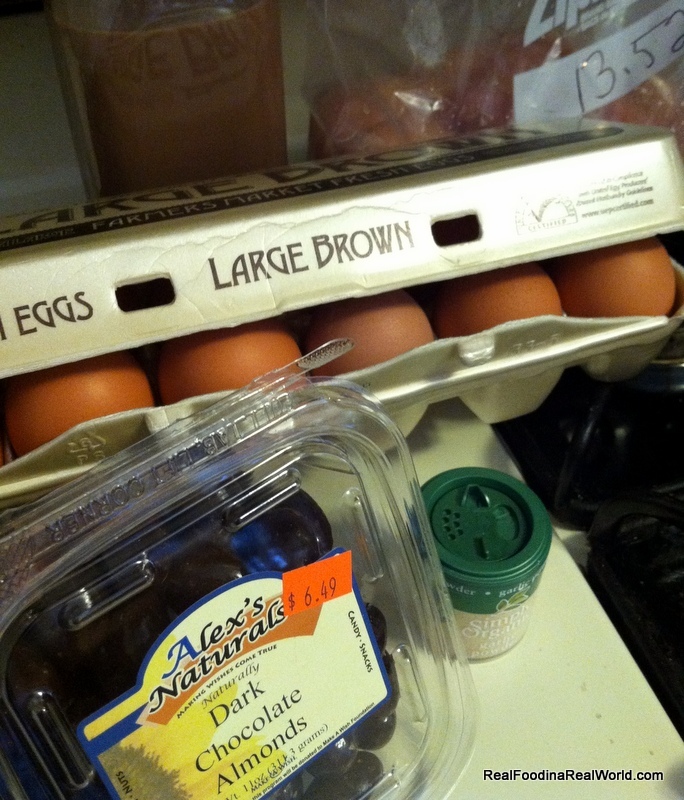 I use Pure Pastures for the bulk of my meat purchases, eggs, some dairy, and many other local items. I’m currently in the process of buying a quarter cow via Pure Pastures. I will be sure to update once that process is completed! I asked my husband for a few sound bites since he’s a “tell it like it is” sort of guy. He says that Garry (Plymouth) and Su (Dearborn Heights) are very helpful and have your best interests at heart. There is never any pressure to buy, and it is a very comfortable atmosphere. They have a large selection of many different items. They can tell you where your food came from. Garry has a big Michigan map at the Plymouth store, and can point to where your items are from. Because the store is packed with good food, it can sometimes be a little difficult to find a specific item. Always ask for help if you can’t find something! Sometimes things are hidden in a freezer or haven’t been brought out to the front yet. The aisles are small at the Plymouth store, I don’t recommend bringing a gigantic stroller inside. They are open to suggestions and special orders, don’t be shy! They recently had a LivingSocial coupon, $15 coupon gets you $30 of food. 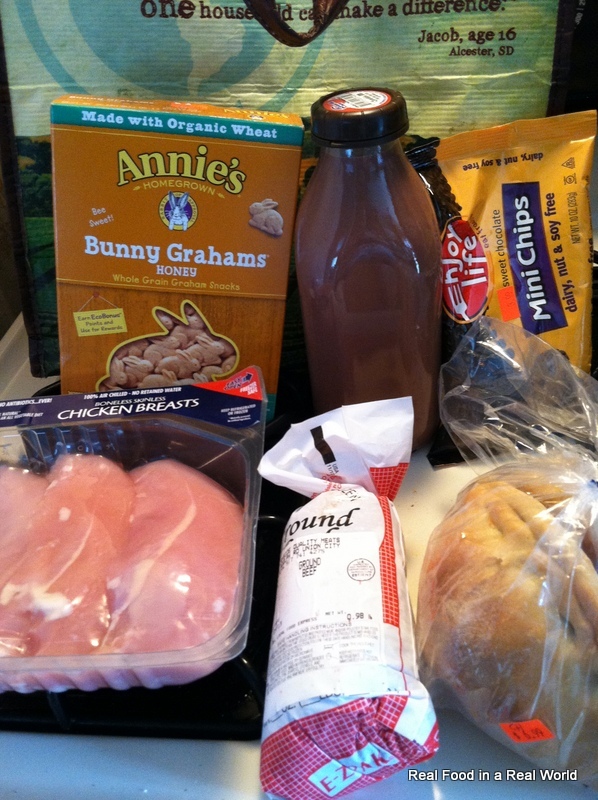 I got a bunch of good stuff including noodles and granola bars and chicken and beef pasties (frozen). I haven’t had the pasties yet, but I’m told they are delicious. We ate the chicken pasties the other day, so yummy!